Last week was one of major creativity. Every once in a while, I have a spike in productivity and am able to get a ton done. 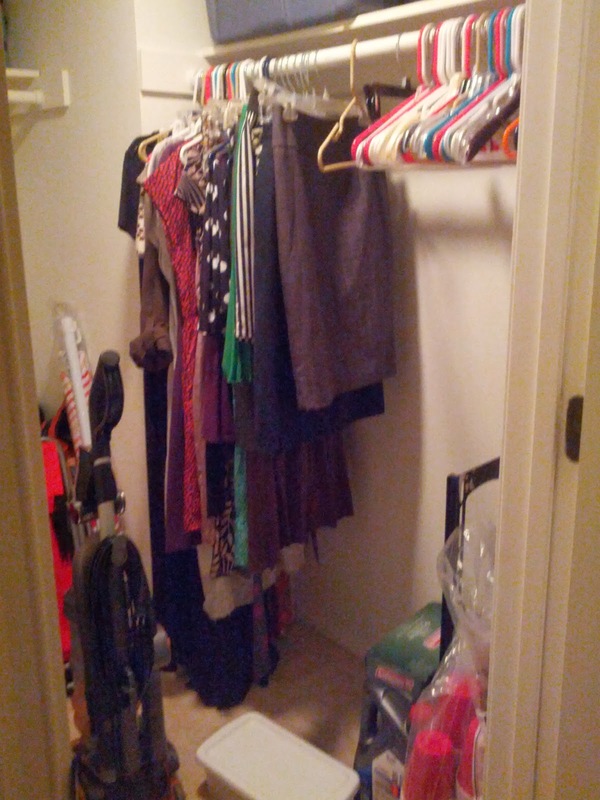 I worked on three separate projects for my 25 projects, and worked on one seriously overloaded closet. 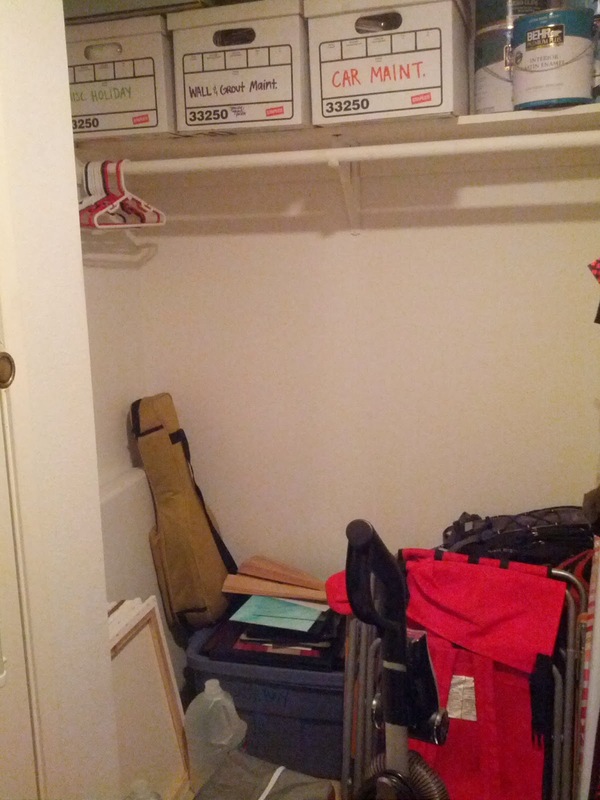 My goal with the closet was to actually turn it into a little work space where I could work and craft and be creative without the distractions of the TV or the mess throughout the rest of the house. 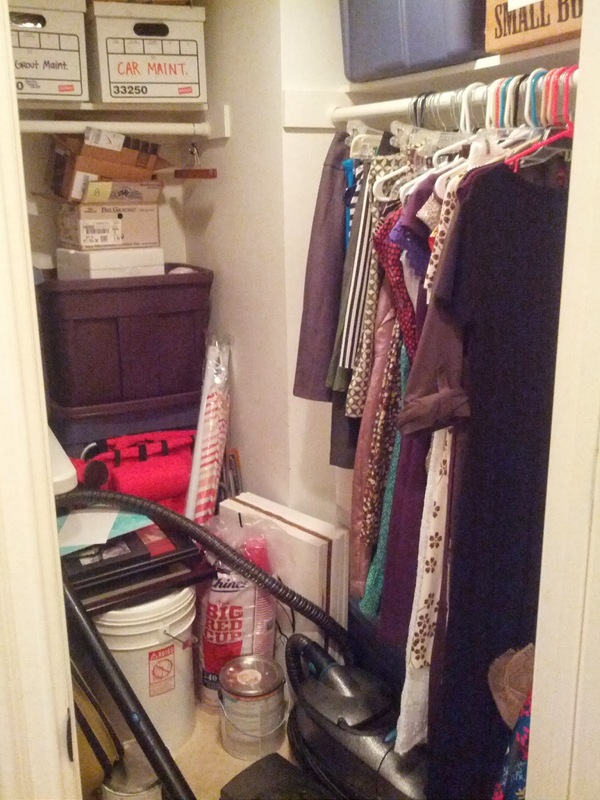 So I hauled everything out of it, sorting it into piles of trash, donate, move to the outdoor closet on our patio, and keep in the inside closet. 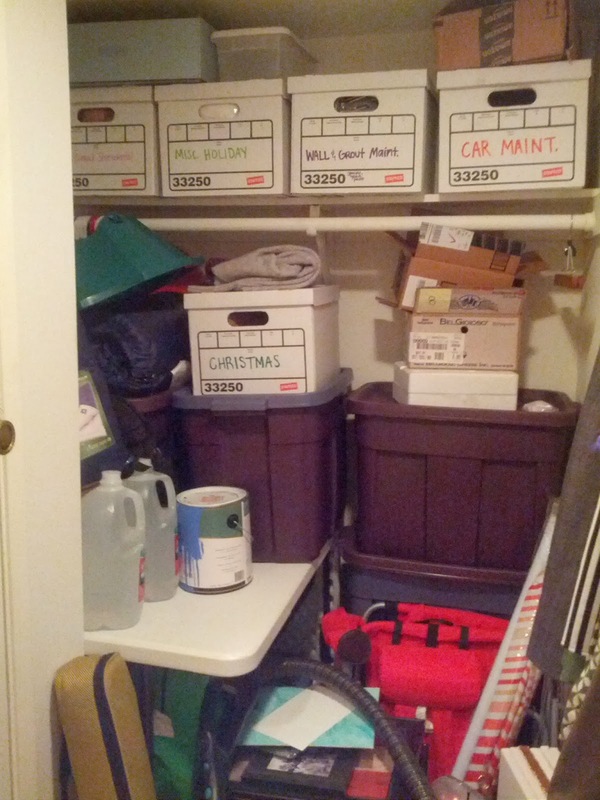 It turned out I had a lot of stuff I didn't actually want, and I was also able to consolidate several boxes and make space that way. Camping stuff, extra boxes, and Christmas decorations went outside. Once it was all cleaned up, I could actually see the floor! 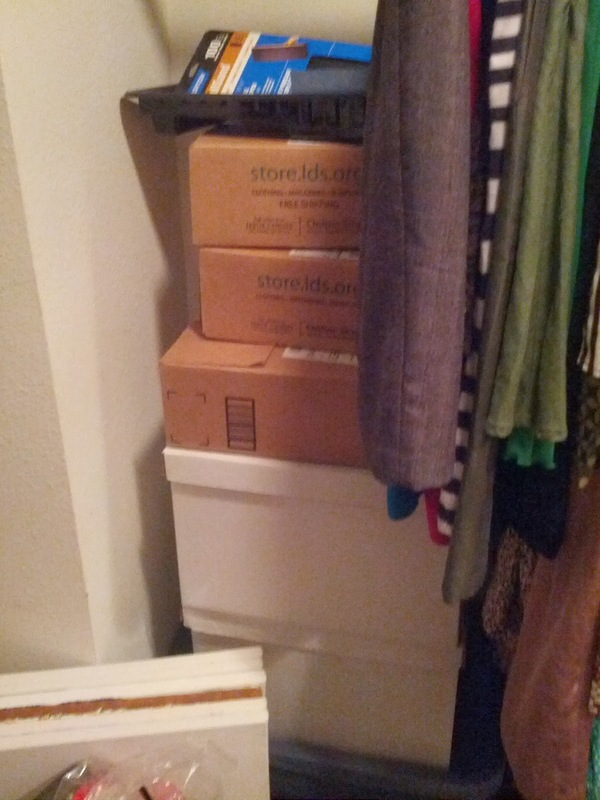 I had such a little vision of putting a desk against one of the walls to house my sewing machine and crafting supplies, maybe getting a lamp since there is no natural light, and maybe even hanging some pictures. 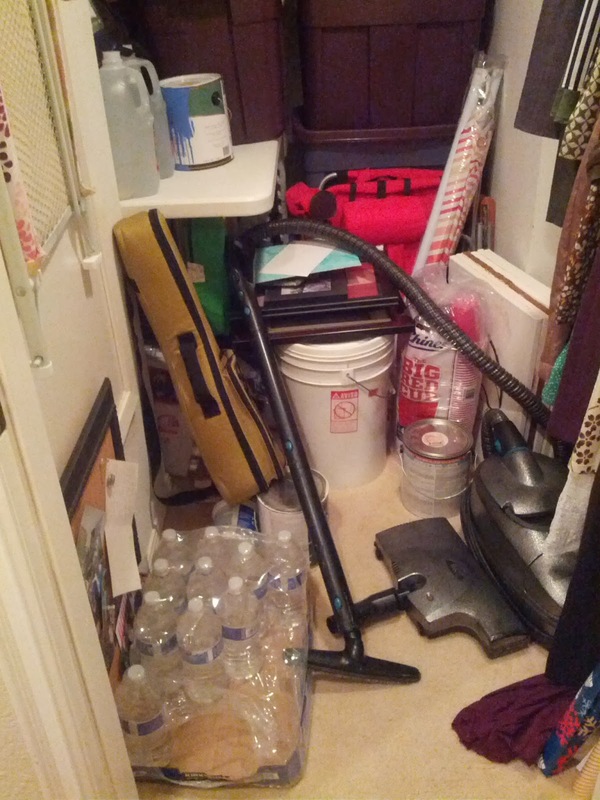 I vacuumed and put away some of the stuff that I knew would stay in the closet, then realized there were no outlets for electricity. I'm a little stumped. I'm kind of desperate for a work space, but don't know how to make this work. We'll see what comes of it. I've started feeding Henry real food. We tried oatmeal cereal a couple times, but grains are really hard to digest, and they add iron to it, so he got a bad tummy ache from it. He eats sweet potatoes and bananas almost every day, and I've given him some avocado (which he didn't like and was kind of spit-up-y from) and little nibbles from my plate. 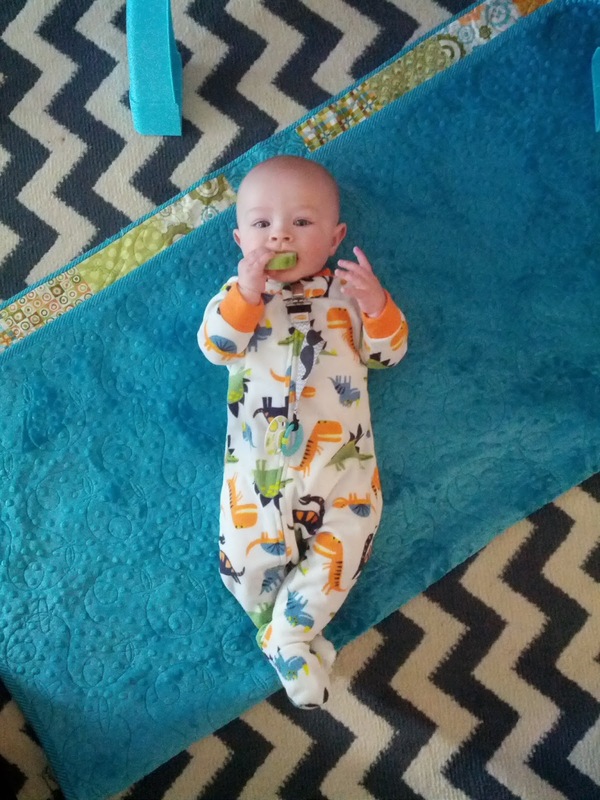 I peel cucumber and give him a thick slice so he can't swallow any, and he gums it happily. We still nurse as often as always, but he stays full and happy longer and sleeps better at night. It's so fun to watch him taste new stuff! Sunday, our whole family had the nap of all naps. 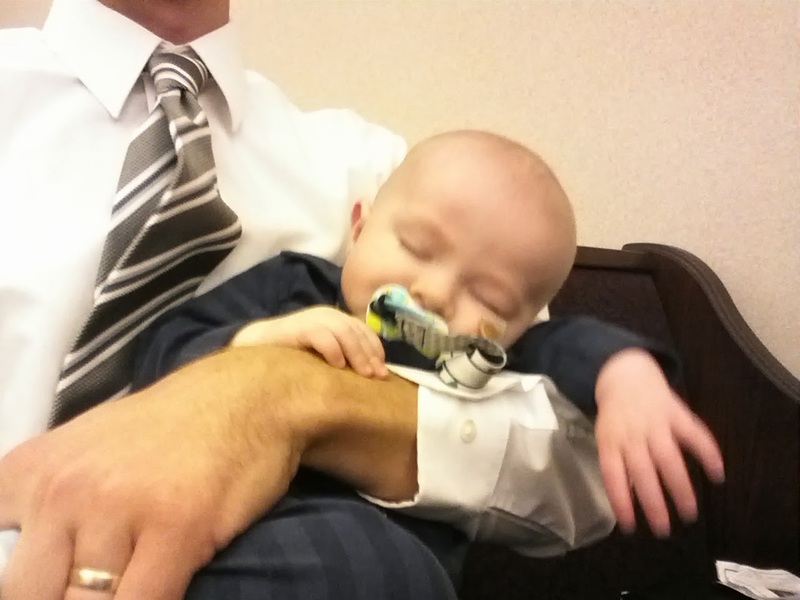 Church is right during naptime, so Henry was super tired when we got home. We put him down and then layed down on the couch together, just for a minute. Two hours later, we woke up in the same spooned position, Henry was still asleep, and it was dark outside. We had to go wake Henry up so he didn't sleep too long! WHAT. How close is the nearest outlet? I know it's not ideal... but if there is one in the hallway on the same wall you could run it into the closet and have a surge protector at the end? They have pretty awesome wireless lamps...check this one out! It's LED so it's actually pretty bright. And it's called Fulcrum...so there's that. ...and then you could run an extension cord when you need to sew or whatever and then just put it away in between. I love the idea of a workspace though!